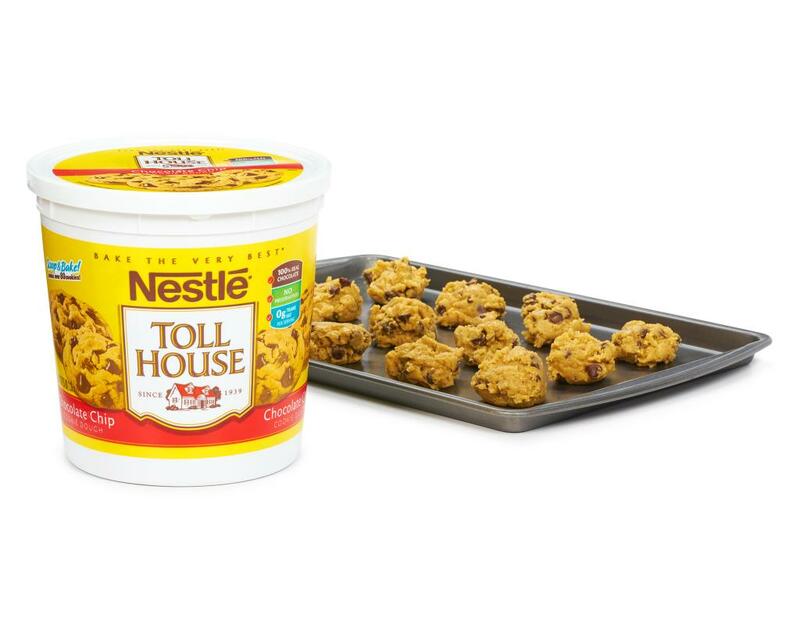 This famous classic American cookie is a treat no matter what the age or occasion. Enjoy it with a glass of cold milk. 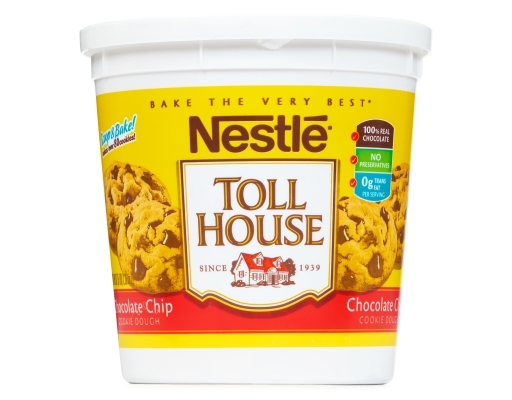 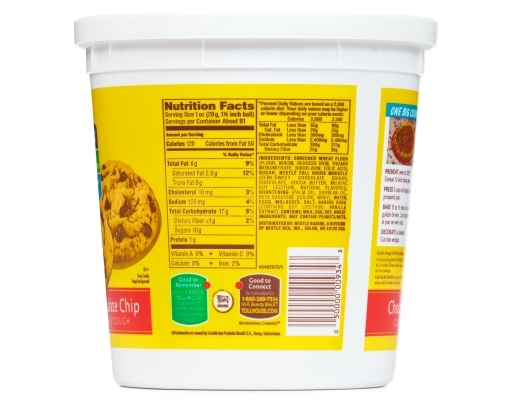 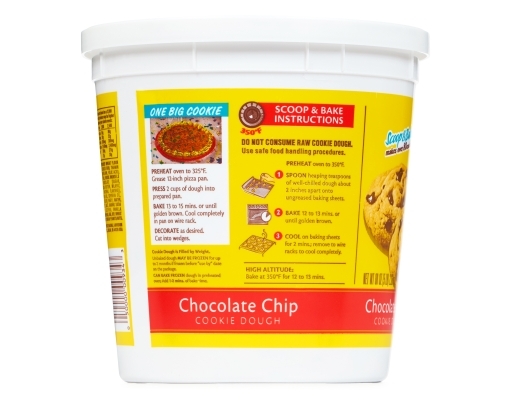 Enriched Wheat Flour (Flour, Niacin, Reduced Iron, Thiamin Mononitrate, Riboflavin, Folic Acid), Sugar, Nestle Toll House Morsels (Semi-Sweet Chocolate [Sugar, Chocolate, Cocoa Butter, Milkfat, Soy Lecithin, Natural Flavors]), Shortening (Palm Oil, Soybean Oil, Beta Carotene [Color], Whey), Water, Eggs, Molasses, Salt, Baking Soda (Contains Soy Lecithin), Vanilla Extract. Contains: Milk, Egg, Soy, Wheat Ingredients.